The long wait is over! Today we are announcing 18 startups, from 13 countries worldwide, that will be attending our 2018 Selection Days. Winner teams will be announced live on our Facebook page at 6 pm CEST! Get a reminder to view the live streaming of the announcement! 2018 Selection Days will start tomorrow and end on Thursday, July 26. During these three intense days, the teams will engage with 100 highly qualified mentors, investors and corporate partners. 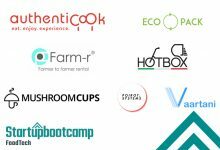 By the end of the Selection Days, on 26th July, Startupbootcamp FoodTech will announce the 10 teams which will be joining the acceleration program to start on the 10th of September 2018. Get ready for an important update regarding our 2018 Demo Day in Paris as well! 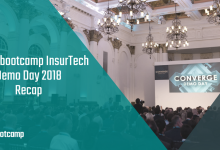 The list of invited teams features startups from 13 different countries all around the world including Colombia, Croatia, Estonia, Germany, India, Italy, the Netherlands, Poland, Russia, South Korea, Spain, Turkey, and United Kingdom. 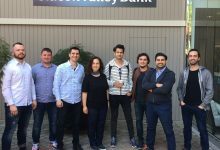 These companies are all operating in different segments of the food industry ranging from new food to precision agriculture, from IoT to BioTech. 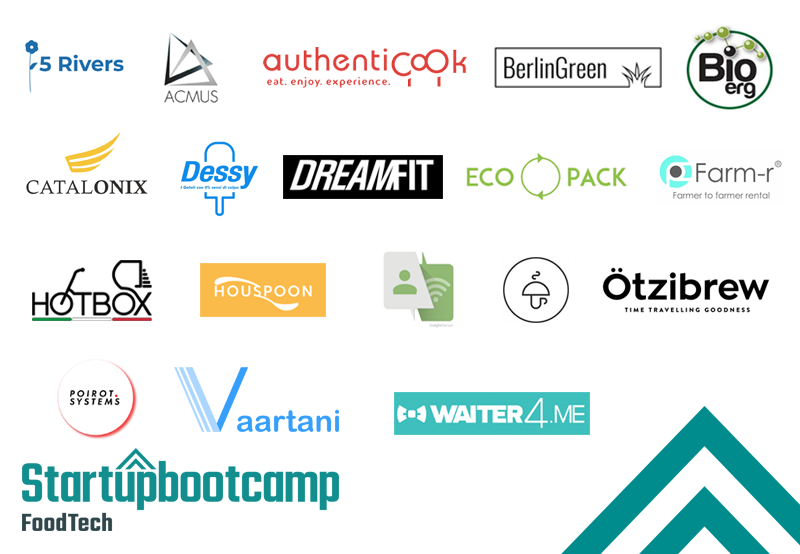 All the selected startups have one unique goal: to become the next global foodtech startup to watch! Description: 5 Rivers delivers agri-supply chain solutions that help farmers and agri-businesses improve their bottom line: economically, environmentally, and socially. Its global, digital ledger system tracks crop yields and ensures quality control in the food supply chain. Description: ACMUS is building TOAST IT: a Smart, Toasted Sandwich Vending Machine that gives you 7/24 access to tasty, hot and healthy food in just a minute. Description: BIOerg is able to commercialize a high molecular-weight dextran called NextDext. Nextdext is a high-quality, low-cost natural ingredient with applications in many applications in nutraceutical and food industries. 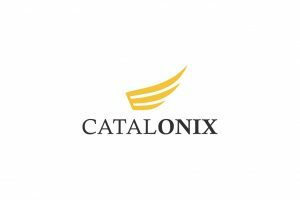 Description: Catalonix is building an urban farming device that automatically grows plants of your choice in your own house. With this cutting-edge IOT and AI system, growing organic and safe food becomes easier than ever. 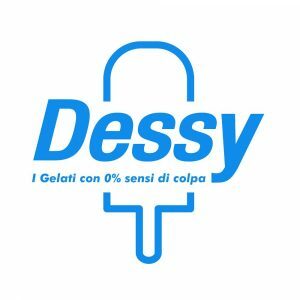 Description: Dessy Gelati offers the ultimate ice cream without guilt! Thanks to Dessy Gelati, you can keep on enjoying your ice cream while keeping up with your low-calorie weight-loss, high protein or high energy diet. Description: Dreamfit builds the perfect mechanism to prepare easy-to-do and hygienic shakes. Replacing powder with capsules, Dreamfit will revolutionize your life at the gym! 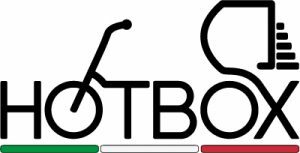 Description: Hotbox invented a groundbreaking device & service for the food delivery sector. The device preserves the food hot and fresh during the delivery and the service enables a scooter sharing platform. Description: Houspoon is a web app that is turning home kitchens into social restaurants to meet real people in a unique environment and empowering cooks and chefs to earn money from home. Description: Insight Sensor builds a personal gardening assistant: Gardy. 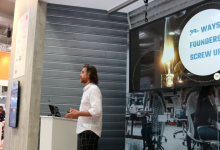 Powered by Artificial Intelligence and IoT, Gardy will save your plants and help you become the best gardener ever! Description: Ötzibrew brings the highest quality natural products – starting with medicinal mushrooms – to the market in a user-friendly and environmentally conscious way. 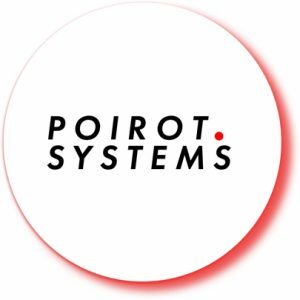 Description: Poirot Systems offers fast and flawless inventory management for the hospitality industry. Replacing manual labor done with pen and paper, Poirot Systems will help bars & kitchens save time, money, paper and have a full grip on their operations. 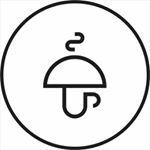 Description: Waiter4me is a cloud-based SaaS application that replaces the waiter in your restaurant. With Waiter4me, all the processes of booking a table, ordering, payment, and feedback become flawless. No more waiting for the waiter, no more unsatisfied customers! 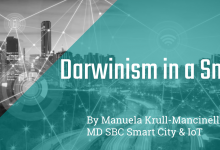 Follow us on Twitter and LinkedIn and share this article!